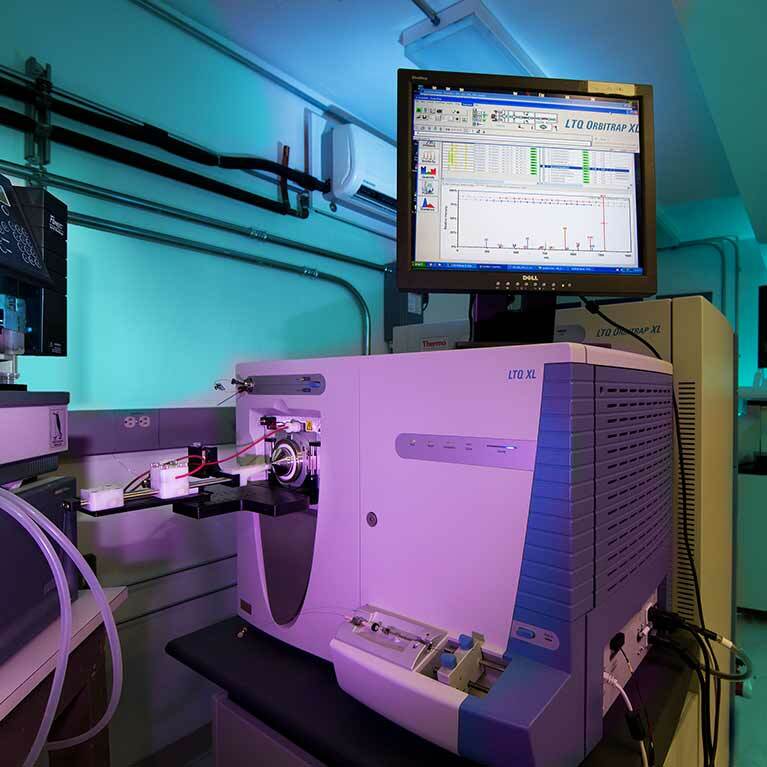 The role of the Mass Spectrometry Core is to provide access and services involving state-of-the-art instrumentation and techniques for analyzing targeted and complex mixtures of proteins and small molecules (metabolites). Within a cell, tissue or organism, it is the proteins and small molecules that are the building blocks, workhorses and functional molecules that carry out the instructions from the genome. In healthy cells and tissues, it is these proteins and metabolites that keep biological processes functioning properly. In disease states, proteomic and metabolomics studies can give new and meaningful insight into the mechanisms of what went wrong.